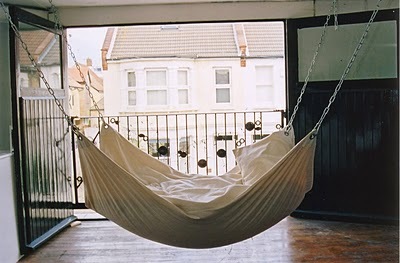 Today I'm inspired by this XL hammock. Wouldn't this be perfect for an urban apartment/loft? What do you think? now that is amazing. love it heaps.